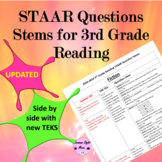 4th grade Reading STAAR question stem cards by TEKS standards. 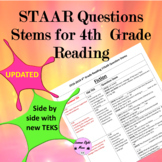 Question stems were drawn from the release test 2013-2014. 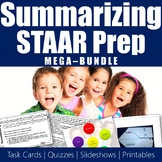 It is great for use when planning. Cards are handy during instruction. 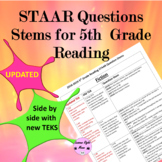 They facilitate the aligning of questions during the delivery of instruction to prep students for STAAR. These are questions based on 2011 and 2013 STAAR Reading Test that can be used with any passage, story, or book. 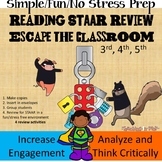 This resource helps you prepare students for STAAR in a collaborative way. 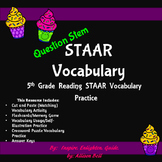 Use it to review vocabulary, practice testing strategies, and have students discuss how to answer reading test questions. 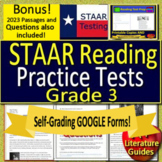 It includes questions stems from the 2018 released test. 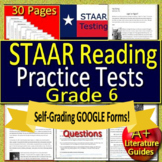 Students use this as a strategy to answer the correct answers during testing. 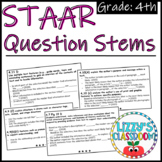 Great to use when writing own questions for assignments, small groups, or centers.